Do you have great memories of your visit to Tenakee Springs, Alaska, but were unable to capture them with your own camera? Would you like to view the town in both close-up and landscape shots throughout all seasons and weathers? Check out Cynthia Meyer's web page at: http://cynthiameyerphotography.smugmug.com/ where you can view hundreds of images of the area from the comfort of your own home. 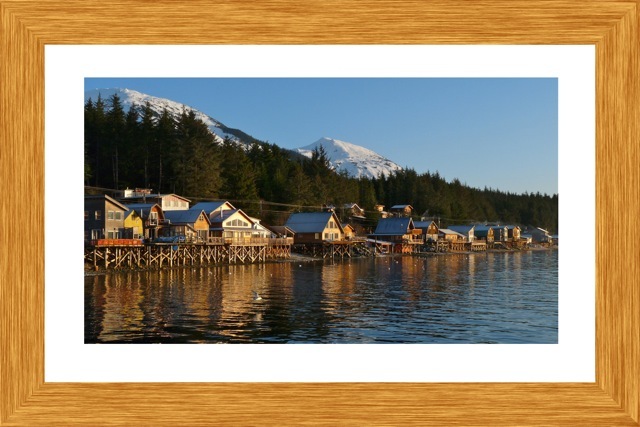 Cynthia's photography highlights the nature and landscape of Southeast Alaska, with an emphasis on Tenakee Springs, but includes some of her travel images also. Her goal is to create fine art by the study of light, color and composition and to have fun doing it. Several years ago she decided she wanted to share her passion for photography by making her images available to a larger audience. The Internet is the vehicle she chose and SmugMug is the company she works with. SmugMug can take care of any purchases you might like to make, sending professional-quality images to enjoy at home or as gifts. They offer many size options, print finishes and matting and framing: images can also be mounted on canvas, metal or a board with foam backing. Better still, they come with a 100% satisfaction guarantee. When visiting Cynthia's site, click on the turquoise word “Find” at the top right side of each page to locate images using their keywords or go to the word “Galleries” and check out the various image categories. The white "Contact" link at the bottom of every page contains her contact information. Additionally, feel free to comment on any image and sign the guestbook. Thanks for stopping by. Enjoy the view!